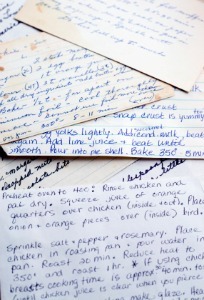 Tell Us Your Best Recipes Ever! Do you have one of the best recipes ever? Almost everyone has that one or two killer recipes that are always a crowd pleaser, and that your kids beg to eat over and over again. Whatever it is, from a family favorite passed down through the generations, a new dish you invented yourself, or a recipe you got from your friend that you love, I would love to hear it. Almost everyone I know, including me, is always on the lookout for more recipes to break up the monotony, or to find even more things that their families will enjoy. I also have even more recipes in my kid friendly recipes section, that adults love too! Share your recipes with me, and everyone can try it and tell us how it worked for them. In addition, the best ones will be featured on this website, with your name included. While pictures aren't required I encourage them, because I think it is easier for people to visualize the finished recipe, and any tricky steps with pictures. What Is Your Best Recipe Ever? Don't be shy. Tell me your favorite recipes that your family never gets enough of. It can be any type of recipe, from breakfast, lunch, dinner, snacks, dessert, very fancy or very simple. As long as it tastes good and is a crowd pleaser I want to know about it!